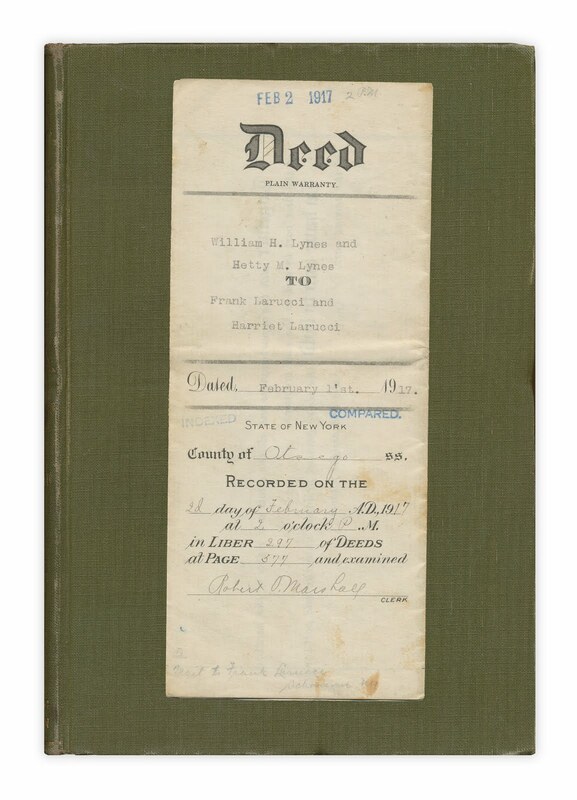 Deed, dated February 2, 1917. Describes a tract of land in Maryland, NY sold for the price of $1. Found in "The Book of Progress: Volume II" edited by Albert A. Hopkins. Published by Cricks, 1915. LOL. Progress? I wonder how much the lot would cost TODAY! I'm constantly amazed at what you find in books. Who uses a deed as a bookmark? Or were they hiding it in the most boring book on the shelf for safekeeping?